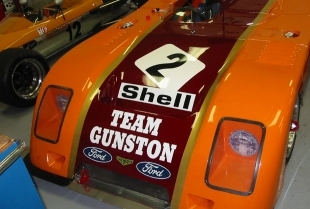 Economy Signs has been reproducing vintage race car decals of all types since 1992. Our talented artists, using our state of the art scanning and thermal resin printing equipment make it possible to duplicate any decals that you may need to complete your award winning concourse vintage race car restoration. We can work from customer supplied photos in addition to researching your graphic needs in our extensive vintage racing library .